The most flexible version of QuickBooks includes additional features that small businesses need in accounting software. Credit card and ACH payments that seamlessly integrate with accounting platforms, web stores, as well as mobile, virtual and countertop point of sale systems. Call us at 866-949-7267 to learn more. 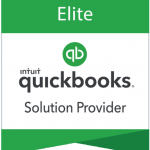 Save time and money and make your business more efficient with QuickBooks desktop and cloud based point of sale solutions. Call us at 866-949-7267 for details. Solutions designed to help you grow and create efficiency from the front counter to the back office. 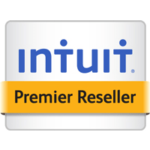 Discounted pricing on all QuickBooks and Intuit products plus solutions for inventory management, eCommerce and multi-channel sales integration. From basic credit card terminals, virtual, and mobile payments all the way to direct integration for QuickBooks, Sage, FreshBooks and Xero. Choose from a wide selection of “best in class” Point of Sale systems including software as well as tablet and cloud based options. Automate your accounts payable and securely pay all your vendors, suppliers or individuals electronically with a single payment file. 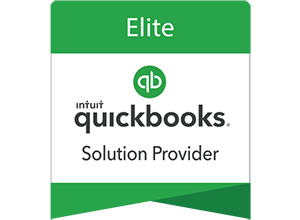 As an top nationally ranked Intuit Solution Provider and a Premier Reseller, we are exclusively authorized to sell, integrate, and support the complete line of QuickBooks / Intuit products and services. These guys are outstanding! Anytime I have called or emailed them I have always gotten a quick response. If I ask them something they don’t know the answer to, they find out and promptly call me back with the information. If I need something QuickBooks related, they are my go to company because I know I will be taken care of. I’ve worked with Intuit for years and Pete at Paygration has been one of the most customer service oriented, proactive representatives I’ve worked with. I am writing to thank you for your support in setting up our merchant account and Authorize.Net. We completed the integration with our new website a week ago and have been completely satisfied with the work and end result. You did an excellent job, are always available when I contact you by phone or email. Thanks again. 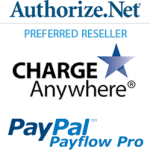 The staff at Paygration has been invaluable in the process of setting up my QuickBooks GoPayment account and I cant thank them enough. I recently converted over to FreshBooks Accounting and signed up for online payments with Paygration. My clients love being able to receive an online bill on the day of service and with a few simple steps, pay immediately with a credit or debit card. It’s easy, inexpensive, and pretty much makes the bookkeeping a piece of cake. 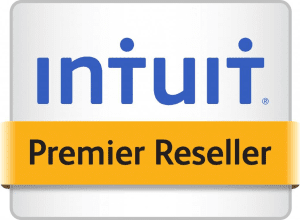 We were notified by Intuit that in order to accept the EMV chipped cards, we needed to upgrade our version of QB POS 2013 to 2015. Intuit’s offer was 50% off retail. Thought this was a good offer, but with some research, we found prices below what was offered by Intuit, but worried about pirated software. We found authorized Intuit reseller Paygration and were helped by Pete Real, who was great. He was able to match the lower prices and also reviewed our merchant account with Intuit and able to lower our current rates. It was a pleasure working with Pete. Very responsive to our questions and concerns. Would highly recommend them. Pete helped us get set up with payment processing in a fast and efficient manner. They made sure the solution worked for us and continually checks in to see if there are issues that have come up. In our mind, there is no other choice. Highly recommended! Just wanted your office to know the staff at Paygration is great. They have been outstanding and have gone above and beyond to help get my installation of QB Enterprise up and going. Always super quick to return emails and phone calls. I just wanted you to know, as an employer myself, I like to know when my staff takes care of my customers like they have. When you run a company you are swamped by vendors who just want your money, but every now and then you find a true business partner. Pete and the team at Paygration worked directly with my accountant to set up an online payment system that works with my QuickBooks software and both myself (and my accountant) couldn’t be happier.